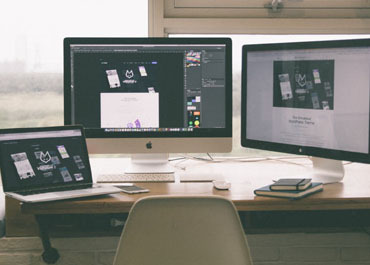 Almost every business today needs a website in order to stay competitive. A well built website includes strong keyword rich content and offers an exceptional user experience. We offer several shopping cart solutions. Mals E-commerce can be configured to accept virtually any payment method including all major credit cards. We can also set up a PayPal cart. All major search engines including Google, Bing, Yahoo and AOL place a high degree of importance on having an active social network and rank sites accordingly. 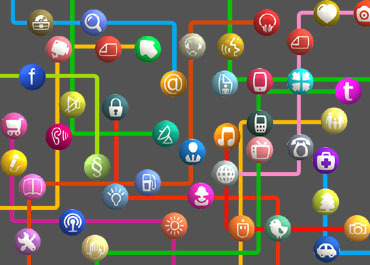 At the very least, your website should be connected to facebook, Twitter and LinkedIn. If you have an existing website and are considering a rebuild or update, we can do this for you. We can also add a blog or forum, set up a webstore that you can manage yourself, or add other features like a weather widget or a photo album. Our professional designs are custom made for your business. Site navigation is easy to find and use. Our latest designs are mobile device responsive. They look as good on a smart phone or ipad as they do on a desktop or laptop. Our designs are cross checked in several browsers including Google Chome, Internet Explorer, Firefox, Opera & Safari. Initial consultation is free and encouraged. 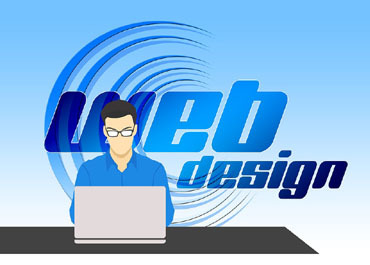 We can help you design your site based on your requirements and desires. Site layout, style, navigation, basic features, color choices, and other options including the many add-ons that are available are all things to consider during this stage of development. If we feel that we would not be the best choice as your developer based on your needs and expectations, we will let you know. The last thing we want to do is accept a job where there are any questions regarding our ability to perform the work to your complete satisfaction. We encourage you to register your own domain name and will be happy to explain the process to you. If you are not comfortable with this part of the process, we can certainly register your domain name for you. You will be listed as the domain registrant, administrative contact and billing contact. We would list tjbailey Internet Services as the technical contact. This way, we would be able to access your account and make the necessary changes to the DNS records as needed. We use many top tier webhosting companies including Godaddy, IX Webhosting, Fatcow, Bluehost, iPage, Hostgator, and A2 Hosting. It's not always about price. Reliability, speed and security are also very important. Hosting on a shared server may be perfectly fine for your needs and save you money, but we can also arrange for independant hosting on an exclusive server if you prefer. We will be happy to explain the differences and quote accurate pricing. tjbailey Internet Services can help you choose the right shopping cart system that will work the best for you based on the types of items you wish to sell and the amount of items you want to list. 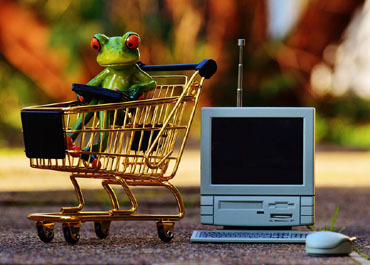 For a feature rich shopping cart, we recommend OSCommerce. If your requirements are more basic and you are looking for a very easy to maintain online web store, we highly recommend our very own WebStore Lister program. We can install and integrate either system into your website and provide clear, well written instructions that will allow you to easily list, edit or remove your own inventory. One of the most important aspects of achieving a high page rank in any of the major search engines is to develop a social media network and spend the time maintaining it. We can create these networking accounts for you, but generally after we make the first post, we turn the daily, weekly or bi-weekly posts over to you. We can get you listed in several Internet directories including Google My Business, MerchantCircle, Manta, Yext, Yelp, the White Pages, Yellow Pages, Yellowbook, and others, but having a social network is equally important and will help drive traffic to your website. facebook, Twitter and LinkedIn are three 'must haves' and others we recommend are Instagram, Google+, YouTube, and Pinterest. There are many features and enhancements that can be installed on a website to improve its function and user experience. These include, but are not limited to having a simple guestbook, local weather widget, chat room, member forum, blog, a membership area that requires a password, many styles of photo albums, media viewers, webstores and shopping carts.